The Royal Military Academy Sandhurst hosted a unique event last week (20th November) as serving Sikh soldiers joined Sikh schoolchildren at a book launch which explored the history of Sikhs in the British Army. 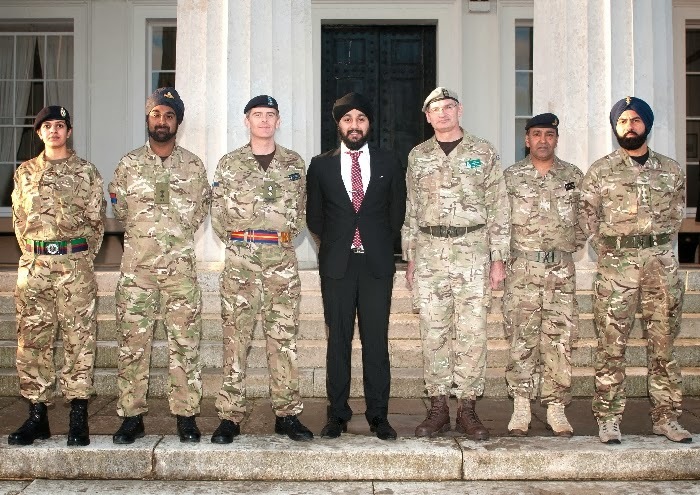 Saragarhi: The Forgotten Battle was written by Jay Singh-Sohal, who is also serving in the Army Reserve, and focuses on this significant battle and its relevance today for the community as well as serving Sikh soldiers.At the event Sikh school children from Upton Grammar and Slough Sikh Academy, were given a tour of Sandhurst and the Indian Army Memorial Room, received a special screening of ‘Sikhs at Sandhurst’ and had the opportunity to speak to and question current serving members of the British Army. "To pay tribute and reflect upon the story of those Sikhs who fought and died on the frontier and in the Great War in the prestigious Indian Army Memorial Room was a tremendous honour. In launching my book "Saragarhi: The Forgotten Battle" at Sandhurst I hope many more will be inspired by this story of bravery and courage." The book centres on an infamous battle that took place on the North West Frontier in 1897, and saw 21 Sikh soldiers fight to the last in defending a small outpost. The actions taken by these soldiers have cemented the reputation of the Sikhs as brave and loyal fighters. 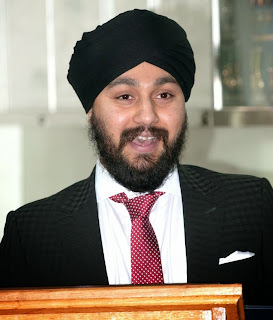 Also speaking at the event was the Sikh civilian chaplain to the Armed Forces, Mandeep Kaur. 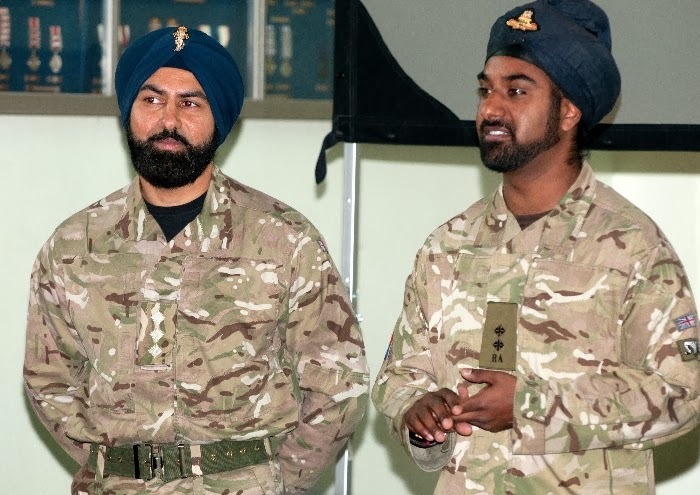 Her role is to provide pastoral care and look after the spiritual welfare of serving Sikhs within the Armed Forces and in the wider community. The MOD has very clear policy to ensure that people are able to accommodate their religious beliefs by balancing the needs of the individual with the needs of the Armed Forces. The Armed Forces employ Chaplains from most major world religions including Buddhist, Christian, Hindu, Jewish, Muslim and Sikh. Service personnel are free to practice all aspects of their religion provided that it does not impact on Operational Effectiveness or the Health and Safety of an individual or their colleagues. Every ship, Army unit and RAF station has a trained Equality and diversity Advisor (EDA) to ensure that all personnel are supported properly, whatever their background, culture or belief.